July 2011 Archives - mudd up! The better a song is, the harder it is to craft a remix that does it justice. And sometimes the best remixes are the lightest — the laziest — at the level of execution. On the other side: my inbox is increasingly clogged with promo “EPs” built from two original songs with at least four remixes, most of which are mediocre in the exact same way. It’s like the producers and the remixers only feel comfortable expressing one idea, the same idea, an idea they learned from reading blogs, the same blogs. I love music, but I also love silence, and the delete button too. 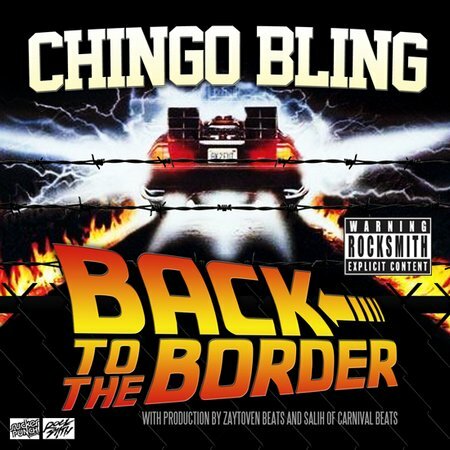 But back to the good songs. 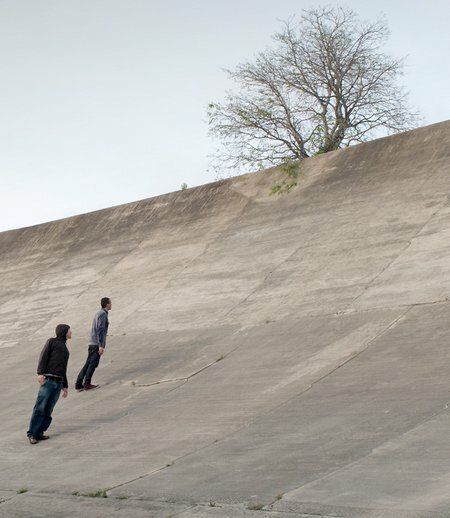 …which gets a kickkicksnare treatment from Subsuelo, who rebrand their creation “Cinco Pasos.” Five steps. Two bodies. One song which is endless, and nobody we trust wouldn’t dance to it. How can real joy be optional? For round two, Caribou (as Daphni) takes on Thomas Mapfumo. 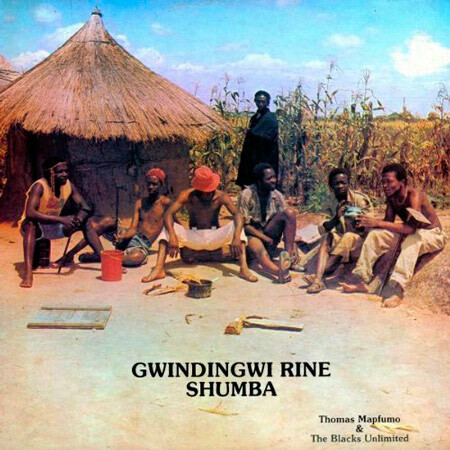 Thing about Thomas Mapfumo & The Blacks Unlimited is that they are even better than their name, even better than their album covers. The style is Chimurgenga, which emerged from Mapfumo reconfiguring traditional Shona music for modern niceties such as the electric guitar, back when he was a Rhodesian chicken farmer. How can you remix this — and not be an elephant in the flower garden? You can’t. So Canadian producer Caribou treads lightly. He pitches “Shumba” up a bit. Then he stretches it out to more than twice the original length. 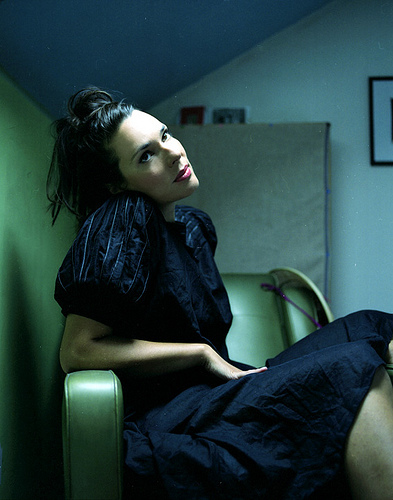 The resulting tune is released on a 12″ called ‘Edits‘ (not remixes). Fair enough. This game — original and edit, version and stretch — could go on all day. It could go on forever. It does. Frictions of power and access and stewardship notwithstanding, it’s one of the the only games we musicians know how to play with each other. I’m very excited to present this video. It’s a short Behind The Scenes look at our Beyond Digital: Morocco art project. 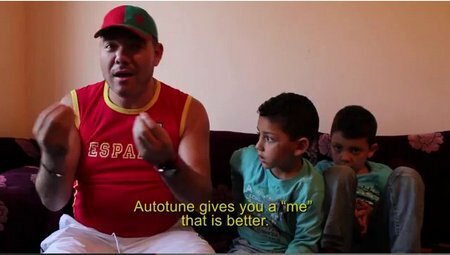 You can also check out my series of Fader posts, and the BD website itself, but this video is by far the best summary and explanation of what we were up to in June, and in so doing it provides glimpses of what’s to come: an incredible photo series by John Francis Peters; poignant video essays by Maggie Schmitt and Juan Alcon Duran; my free Max4Live audio tools suite, Sufi Plug-Ins; Maghrebi percussion sample pack & music by Maga Bo; and more… We are also doing an event in Tangier on September 9th, info next week. Music is excess. Always bigger than itself, spilling over. . . 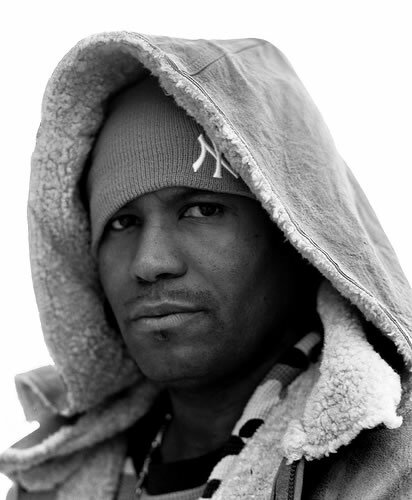 The worlds sketched out by Kool Keith’s acts of negation in “I Don’t Believe You” are hilariously life-affirming. (It’s a rap song equal to at least 1.7 million self-mythologizing tweets.) “Recoupment (Skit)” came right before “I Don’t Believe You” on his 2000 album, Matthew, so I decided to up it here as well. As for me, I have my weekly radio time, which is a circle expanding outwards. Drew tunes in. 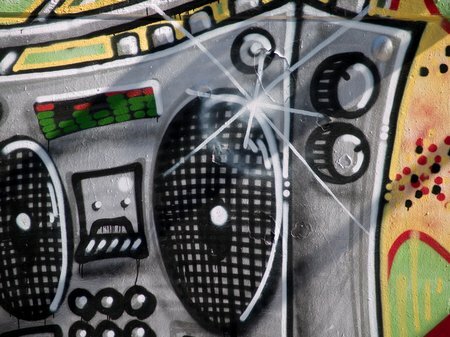 Do you have an old boombox? The rectangular kind that is big, boxy, held together with real screws? With large dials and analog push-buttons? If YES, then I’m interested in it & will pay (non “vintage” prices) for it. If you’d like to donate your crappy old boombox to a very good cause (more on this later, I promise you will not be disappointed) well, that’s cool too. Dutty Artz newcomer Sam is based in NYC and will help scoop it up, and if you live outside of NYC then we can talk about shipping it. On behalf of myself, my crew, anyone who has ever sported a high-top fade, and the entirety of the 1980s & early 90s, I salute you. 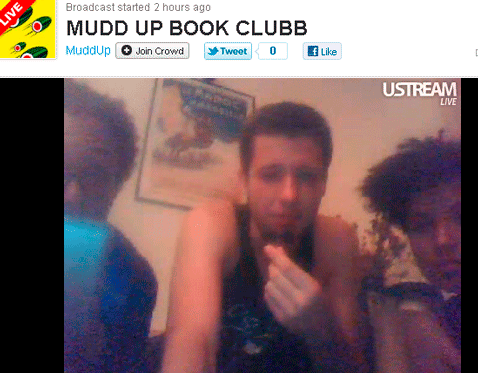 The Mudd Up Book Clubb continues! Every six weeks or so we gather (preferably on a rooftop) to talk about a good muddy book, stream the conversation so The Internet can participate, then eat delicious food. The Clubb is meant to be a realtime feast-for-the-senses thing, but I’ve started a low-activity Mudd Up Book Clubb mailing list, which will mostly be used to remind folks about the dates and give out location info. For the inaugural Casablanca edition we read Maureen McHugh’s Nekropolis, a novel set in 22nd century Morocco. 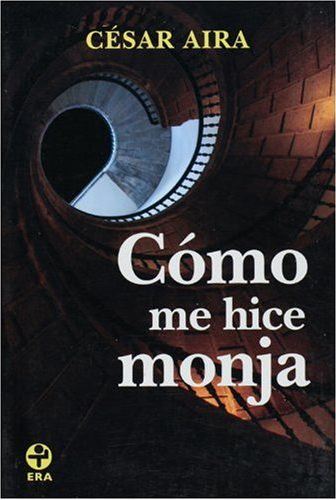 For the second edition, the Clubb will meet in on a Madrid rooftop on August 10th or 11th (date to be confirmed soon), to discuss César Aira’s Cómo Me Hice Monja, a novel translated into English as How I Became A Nun. Este edición del Clubb va a ser bilingüe. If you’re unfamiliar with the Argentine novelist Cesar Aira, I suggest that you simply read the book. No spoilers! It’s short and deliciously strange. Aira has published over 80 novels in Spanish, often scattered across small presses. The act of simply finding his work has a magical easter-egg hunt quality to it. 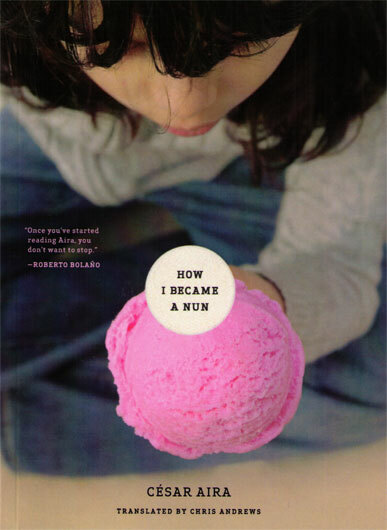 How I Became A Nun is his most popular book, and a decent entrance. All Aira’s novels are quite brief. I’ve read around fifteen of them. I keep reading him. Some are terrible. But even the bad ones have special moments filled with an uncanny freshness and surprise and moments of aphoristic clarity. I’m sort of obsessed with Cesar Aira, Argentinian, ridiculously prolific, starts from a premise and then writes forward, throwing up all these absurd obstacles and traps and pitfalls that he has to write himself out of, like some kind of perfromer trapped on stage who has to keep on improvising tricks and art out of nowhere and without knowing why, until for a second you glimpse a pattern in the chaos – and the whole theatre collapses. There is nobody else writing like Aira, yet his writing isn’t at all “difficult.” Even at their weirdest, Aira’s books are syntactically uncomplicated; the big picture might be bizarre but he doesn’t clutter his prose with a lot of adjectives or challenging vocabulary — so he’s perfect for a non-native Spanish speaker like myself to read in the original. 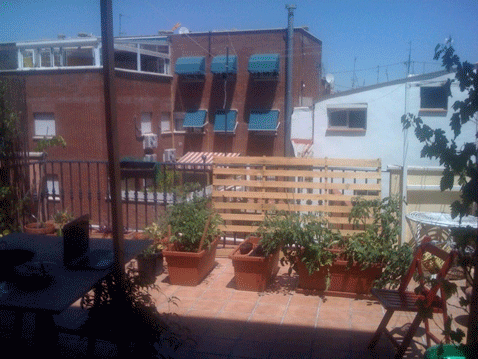 If you’d like to give it a shot, this website appears to have the entire text of Cómo Me Hice Monja. I’m about 600 pages into Roberto Bolaño’s 2666 –a book that is both horrible and hypnotic, one of the few Bolaño works I’ve been able to finish (Amuleto was the other one). Don’t get me wrong, I’ve read a lot of most of his books, some in English and some in Spanish; I simply think he’s overrated and overtranslated when compared to the amazing wealth of other contemporary Latin American writers. 2666’s spot-on epigraph begins things with a quote from Baudelaire: “An oasis of horror in a desert of boredom”. The 1000+ page book is divided into five parts. I’m drowning in part four, “The Part About The Crimes”. It describes, in blunt unaffected language, dozens upon dozens of brutal rapes and murders that occurred in Santa Teresa. The Mexican border city is Bolaño’s fictional stand-in for the very real Ciudad Juárez, where hundreds of women have been killed in unsolved murders stretching back to 1993. As in 2666 , many of these women worked in the American-owned maquiladoras in the nearby desert, making products for export north. If it were the stand-alone work of an unknown writer, The Part About The Crimes would be an insane, unpublishable anti-novel . But Bolaño’s writing has long embraced themes of systemic violence and the relationship (if any) of literature to any actual world. Today, taking a break from the dark gravity of Part Four, I came across several related articles. 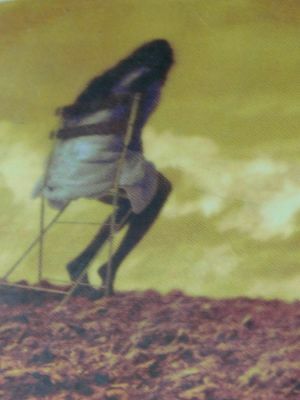 He could see hills on the horizon. The hills were dark yellow and black. Past the hills, he guessed, was the desert. He felt the urge to leave and drive into the hills, but when he got back to his table the woman had brought him a beer and a very thick kind of sandwich. He took a bite and it was good. The taste was strange, spicy. Out of curiosity, he lifted the piece of bread on top: the sandwich was full of all kinds of things. He took a long drink of beer and stretched in his chair. Through the vine leaves he saw a bee, perched motionless. Two slender rays of sun fell vertically on the dirt floor. When the man came back he asked how to get to the hills. The man laughed. He spoke a few words Fate didn’t understand and then he said not pretty, several times. “Not pretty,” said the man, and he laughed again. Then he took Fate by the arm and dragged him into a room that served as a kitchen and that looked very tidy to Fate, each thing in its place, not a spot of grease on the white-tiled wall, and he pointed to the garbage can. “Hills not pretty?” asked Fate. The man couldn’t stop laughing. He had a bird tattoed on his left forearm. Not a bird in flight, like most tattoos of birds, but a bird perched on a branch, a little bird, possibly a swallow. The man laughed even more and nodded his head. And that’s that. The complex — and extremely macho — intensity of Bolaño’s Grand Novel can certainly benefit from queering interventions & inversions more about seeds than graves. First there’s Rihanna’s new single, in which the pop star from Barbados goes reggae as she recounts gunning down Chris Brown “a man”, in broad daylight, with immaculate hair and styling. Personally, I believe guns should be illegal. But I’m willing to make exceptions for Rihanna.